Includes all presentations, conference meals, award banquet, receptions, support groups. Rooms at Pullman SF Bay: $124 per night until July 16, 2019. To reserve your room, call 650.598.9000 and ask for the CFRI conference rate. 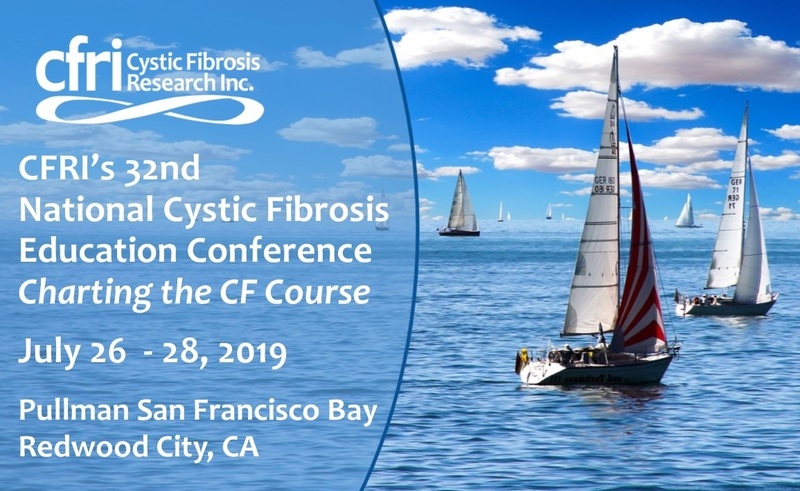 Participants/guests with CF must adhere to CFRI's Infection Control Guidelines and submit a Medical Release Form as well as a Cross Infection Liability Release Form. Sponsored to date by Vertex Pharmaceuticals, Genentech, Gilead Sciences, Chiesi USA, AbbVie and Ionis Pharmaceuticals. 0 1 2 3 4 Early Bird Registration Attendees: 1 $ 185.00 ea.